In my view, there are two types of documentaries: those that are grounded with measured retellings of important historical events or, those that seek to tell a ludicrous story in a similarly over-the-top fashion. 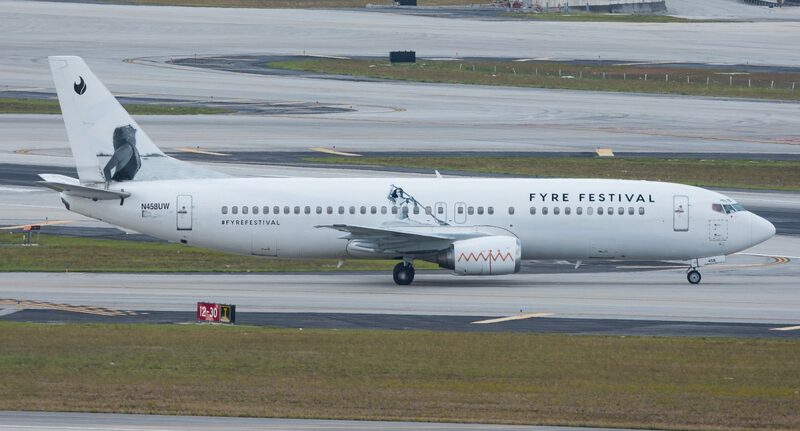 Netflix’s recent documentary on FYRE: The Greatest Party That Never Happened, directed by Chris Smith, is definitely the latter. As with Netflix’s other documentary features, the production value of the film is evidently extremely high making for an immersive and compelling view of the extent of festival creator, Billy McFarland’s deceit. The documentary explores the story and people behind the infamous music festival in 2017 which was branded as an opulent once-in-a-lifetime experience on a private island paradise but ended up being an ill-managed disaster with no music or even accommodation. The bulk of the film consists of behind-the-scenes footage of the event’s planning stages, the event itself and the subsequent media firestorm. This is interspersed with revealing interviews with numerous people involved with the festival including those who worked alongside McFarland and those defrauded by his actions. Smith’s telling of the story is extremely self-aware and avoids the obvious pitfall of attempting to elicit sympathy for the über-rich millennials who fell for the evident scam. Instead, he directs the audience’s empathy towards the island’s residents who suffered financially due to the festival’s failure. In fact, this has been so successful that a crowdfunding page set-up for Maryann Rolle, a caterer on the island who put $50,000 of her savings into the event, has since raised over $177,000, according to The New York Times. One of the most revealing aspects of the film is the details behind the social media ‘influencers’ who appeared in the festival’s promotional material. At a time when the controversy around celebrity advertising is receiving significant media attention, it was reassuring to see Kardashian family socialite Kendall Jenner, and numerous other models finally being held accountable for their role in the debacle. Despite the film’s compelling nature, there are issues with its focus, this is most apparent when considering if the film’s true subject matter is the festival or McFarland’s life. Whilst significant coverage is given to the festival, there are long segments dedicated to his other business dealings which, whilst not totally out of place, are perhaps not as relevant as suggested by the film’s title. Unlike Netflix’s competitor Hulu, who released a surprise documentary, Fyre Fraud a mere three days before, Netflix declined to interview McFarland for the documentary. This reportedly being on account of his request for $125,000 for the interview. This was certainly a bold move on Netflix’s part but is ultimately a commendable one as allowing McFarland to further financially benefit, especially just before he begins a six-year prison sentence for fraud, is extremely morally questionable. Overall, Netflix, along with Smith’s excellent direction, have created another intriguing and immersive world-class documentary which has further cemented their status as the dominant force in online streaming.